We started out with a lot of footage from the 2009-2010 Miss South Pacific Pageant in Fiji and the challenge was to find the story inside the Pageant. There were all of these beautiful, talented, highly intelligent women from the South Pacific, but I wanted to know their personal stories. Why did they enter the Pageant? What did it mean to them? Did they want to win the crown of Miss South Pacific? These questions couldn’t’ be answered from the pageant footage so we returned to find out. In the process, I learned much about South Pacific island culture and how talented and generous South Pacific island people are. I learned that South Pacific island culture, family and community are the basis of their social relationships. The young women who competed in the Pageant were not doing it for themselves, but for their island countries. They are proud of their heritage and wanted to showcase the unique qualities of their island homes. Also, there is a sense of urgency that their islands are being adversely impacted by climate change from the carbon emission of developed countries. Rising sea levels are contaminating their food crops, infiltrating their drinking water, and altering the coastal landscape of their island homes. The contestants used the Pageant as a forum for voicing their concerns about climate change and rising sea levels. One of the reasons I made this film is because I am a mother and I am concerned about the future of our planet for my son. I want my son to enjoy the same natural beauty of our planet that I enjoyed growing up. But now, with climate change and all the environmental issues impacting our world, it’s questionable whether he will enjoy the same world. Hopefully, “Miss South Pacific: Beauty and the Sea,” will raise awareness about our carbon footprint on the planet, and inspire us to take personal responsibility for our actions. Lambert directed Chris Isaak's first music video "Dancin'" and Janet Jackson's "Nasty" and "Control" music videos. She also directed videos for Annie Lennox, Mick Jagger, The Go-Go's, Whitney Houston, Alison Krauss, Live, Mötley Crüe, Sting, Debbie Harry, Tom Tom Club and others. She directed many of Madonna's early videos including "Borderline", "Like a Virgin", "Material Girl", "La Isla Bonita", and "Like a Prayer". In 1987 she released her debut feature, the stylish and controversial Siesta, starring Ellen Barkin and Jodie Foster. It was nominated for the IFP Spirit Award for best first feature. She is known to horror fans for directing the 1989 adaptation of Stephen King's novel Pet Sematary and its sequel, Pet Sematary II. Lambert works currently as director on the 2011 Syfy horror film Mega Python vs. Gatoroid. 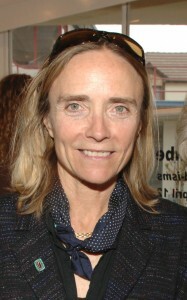 She directed the 1993 Digital Pictures FMV video game Double Switch.